Rory McIlroy injured his ankle while playing soccer and potentially could miss the British Open. World No. 1 Rory McIlroy has announced he ruptured a ligament in his left ankle and could potentially miss the British Open. In an Instagram post early Monday morning, McIlroy posted a photo of himself on crutches with a walking boot on his left foot. The caption reads: "Total rupture of left ATFL (ankle ligament) and associated joint capsule damage in a soccer kickabout with friends on Saturday. Continuing to assess extent of injury and treatment plan day by day. Rehab already started..... Working hard to get back as soon as I can." The 26-year-old is the reigning British Open champion and was the favorite to win a second Claret Jug at St. Andrews in two weeks. His spokesman, Sean O'Flaherty, said he was definitely out of the Scottish Open, which starts Thursday at Gullane. 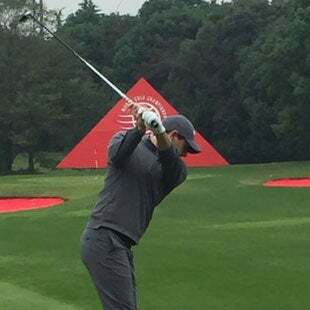 O'Flaherty said they would not know until the end of the week the prospects of McIlroy teeing it up at St. Andrews on July 16. A spokeswoman for McIlroy told CNN there was a 10 percent chance McIlroy would play this year's British Open. McIlroy referred to his ATFL, which is the anterior talofibular ligament and the one most commonly sprained. The left ankle is crucial in a golf swing as weight shifts to that side while generating power. "That's a big blow to the Open if he misses it," former Ryder Cup captain Sam Torrance said from Wimbledon. Sergio Garcia, who finished tied for second behind McIlroy at last year's British Open, tweeted his condolences to McIlroy.